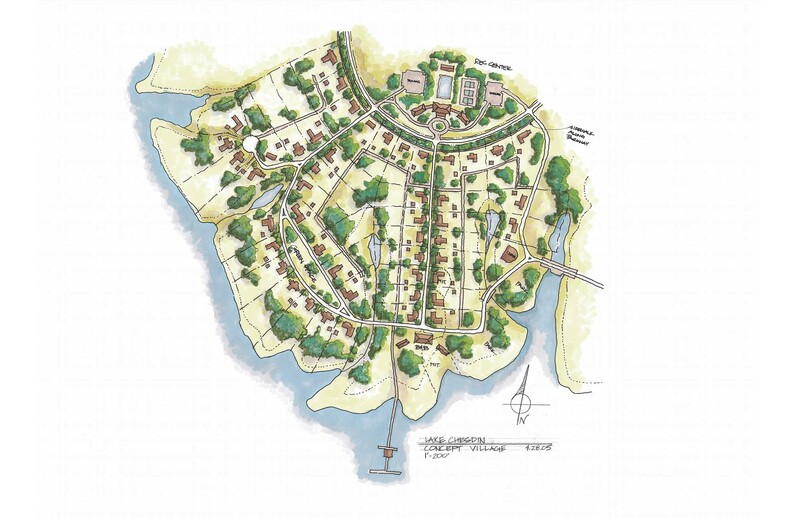 THE LAKE CHESDIN PPROPERTIES is a residential development on 600 acres along Lake Chesdin in Chesterfield County, Virginia. To support and be supported by the housing expansion, the developers have envisioned an area to be developed into a mixed-use Village as a central precinct for activities for the surrounding residential neighborhoods. 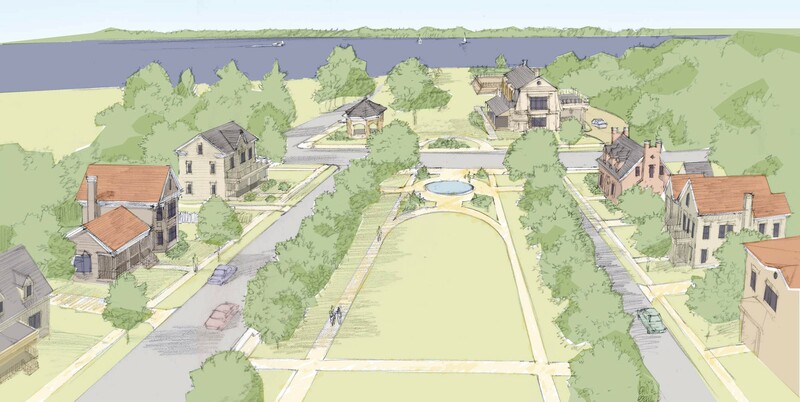 This village is to be positioned on the waterfront and will include houses with porches fronting tree-lined streets, recreational facilities, an inn, retail stores, and public parks, paths, and other amenities. 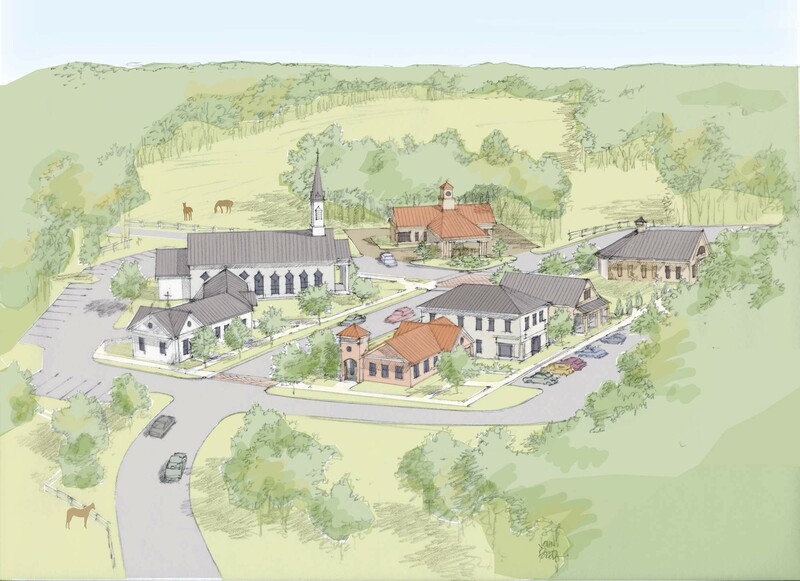 Glavé & Holmes Architecture (G&HA) has been charged to prepare a concept study to describe in general terms the scale, character, relationships, and functions of the buildings and outdoor spaces within the Village. 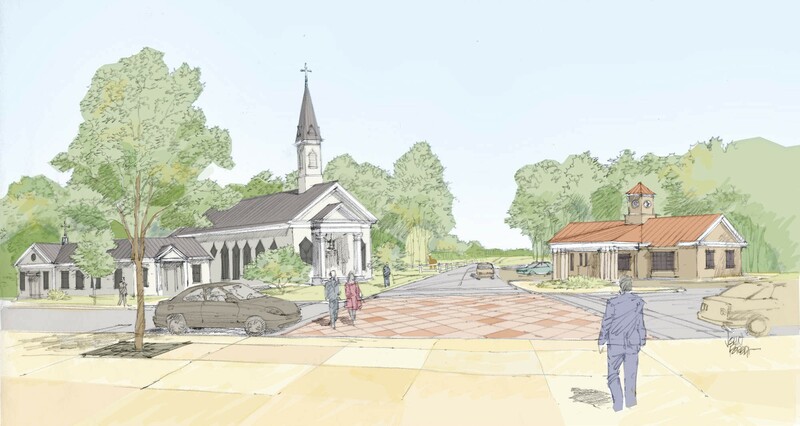 Key aspects of the plan include an innovative system for residential parking that sites garages behind houses, accessible sidewalks throughout, and careful protection of surrounding wetlands.